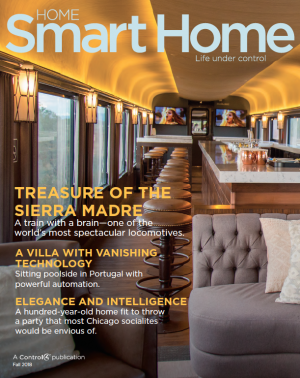 We asked this Control4 Certified Showroom owner about his passion for technology, how he approaches the customer experience side of home automation, and what a designer or architect should do if they are looking to incorporate smart home technology into their projects. We sat down with David Mills, Director at Kraus Hi-Tech Automation, to find out what got him to where he is today in the home automation industry, how he works with designers to give clients the results they really want, and how other home-industry professionals can take advantage of his technological expertise. Savvy property developers are staying ahead of the trend by working to integrate smart home solutions for multiple dwelling units (MDUs) that will make residents feel secure, protect investments, and create contemporary environments that excite prospective buyers or residents. Whether due to injury, disability, or age, more and more homeowners today in need of assisted living are reaching out to home professionals for accessible home solutions that enable them to stay independent and in their home. We interviewed Control4 Instructional Designer and Technical Trainer Joe Ribera to ask him about how smart home technology has helped his aunt, who has been living with a muscular degenerative disease for almost three decades. The Premier Group, a Control4 Certified Showroom Dealer located in Carmel, Indiana, was recognized as the CEDIA Awards’ top honor for “Integrated Home of the Year 2018” in North and South America for outstanding integrated system design at the 2018 CEDIA trade show in San Diego. We wanted to shine some light on how the different teams worked together to create such a masterpiece, and so we sat down with Jamie Sangar, Director of Business Development for The Premier Group, to find out how the Geist Reservoir Home was born. Discover the 2019 trends designer Toni Sabatino’s most looking forward to, how to balance the new with the old, and how home updates can rejuvenate our lives. We asked well-known innovator in the home technology business Joe Whitaker about his vision for the 2019 connected home and what are now the must-haves for home technology. We took some time with award-winning architect Gary Frank to ask him about how he became the successful architect he is today, why he tells all his clients about home automation, and what he does to set his business apart in this highly competitive industry. If you’re looking to instill a sense of luxury and sophistication in your home then check out these tips from the furniture specialists at Ponsford and discover how adding that final sprinkle of TLC can help achieve unrivalled luxury in your home interior. We interviewed Harry Hamilton and Evan Christensen from Above Grade Automation to find out what they love about the home automation industry, how they give clients the smart home results they really want, and how other industry professionals can take advantage of their honed technological expertise. If you’re an interior designer, builder, or architect wondering how you can elevate your design strategy process, look no further than Louie Delaware and the Living In Place Institute. We asked him about his background and career switch, why Living In Place designs should be the new standard for any build or remodel project, and how smart technology can help empower people with injuries or disabilities to better live in their homes. We were able to spend a little time with award-winning designer Suzi Kaloti, and so we asked her about her passion for every project, why smart home technology is an integral part of her designs, and how her long-term commitment to the spaces she creates sets her business apart. David VanWert provides expert technology solutions for his clients, so we asked him for his expert opinion on leading the CEDIA Design Tour, how his business is unique in the industry, and what he recommends for a designer to get started with home automation. We sat down with architectural designer Gary Nance to talk with him about the breathtaking Geist Reservoir Home, the “Integrated Home of the Year 2018” by Custom Electronics Design and Installation Association (CEDIA). We asked Jim Patten how he approaches CEU courses for design industry professionals, what these professionals should know about smart home technology, how he discovered his own passion for automation, and what he sees as an important next step for the technology and design industries. We sat down with Joe Whitaker to ask him about how he became a top integrator, what his experience was like leading the Control4 CEDIA Design Tour, and his overall thoughts on smart home technology. Robin R. Fisher connected with Control4 at the CEDIA Design Tour and was intrigued and impressed by the Control4 comprehensive smart-home system. After the tour, she met with Evolved Home, a local Control4 smart-home expert in her area, and so we decided to check in to ask her about her experience, thoughts, and current journey with home automation. We asked this smart-home expert Joel Dyck about his passion for technology, how he approaches the customer experience side of home automation, and what a designer or customer should do if they are looking to learn more about the (almost) endless possibilities of smart-home technology. We asked award-winning architectural designer Gary Nance about his experience with smart-home technology, where he finds his inspiration, and how he works with others to bring his vision to life. Architect and designer Rick Oswald uses his thorough knowledge of codes, construction, process, and architecture to create one-of-a-kind custom smart homes that stand the test of time. We asked him how he got into home automation, how he approaches smart technology as an architect and designer, and why he loves the relationship he’s built with his Control4 smart-home expert. When you look at any space Yvette Chaix creates, you can easily see that she has a passion and talent for home design. We were able to catch a few minutes with this on-the-go professional to find out how she creates such thoughtful, livable spaces as well as how she keeps her edge in a highly competitive industry.